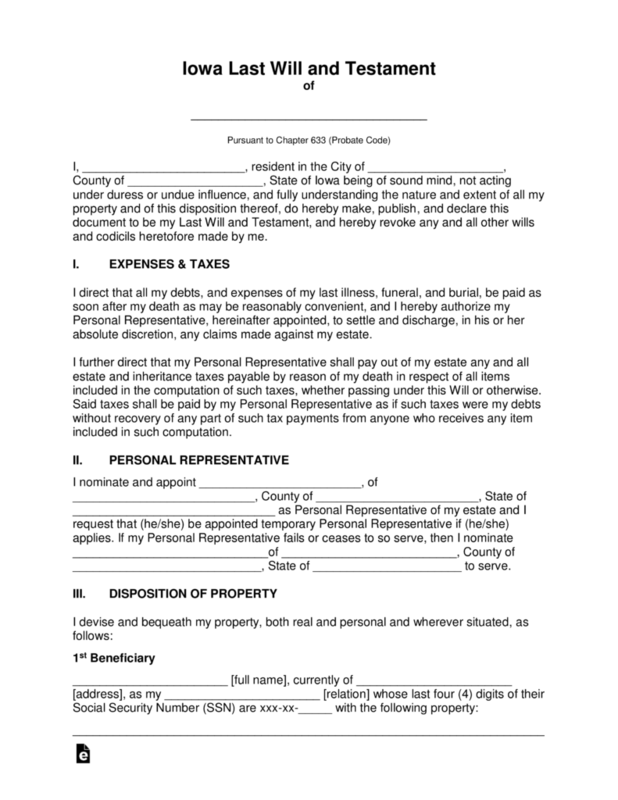 The Iowa Last Will and Testament is a legal document that is set forth by the testator (the person creating the document) that ensures that upon the death of the testator, their beneficiaries receive the personal property, fiduciary assets and/or any cash on hand, digital property, real property or any other property or form of protection they have arranged for family, friends, even charities while of sound mind. This document must be witnessed and acknowledged by a notary public. 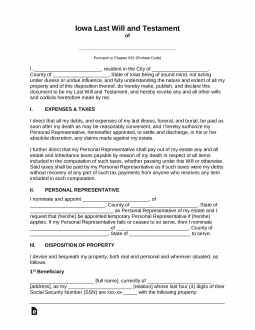 Signing (Section 633.279) – Must be signed by Two (2) competent persons in the presence of the testator and in the presence of each other. Step 7 – Notarization – When the notary public has witnessed all signatures they will complete the remainder of the document and authenticate it by affixing their state seal.